I am excited to be part of Pelotonia 2019. 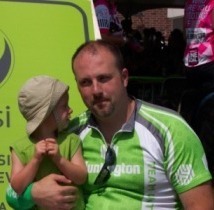 I will ride in memory of my father, Anthony Acquista, who lost his battle with lymphoma when he was only 39 years old. I will ride for my friends and family that have had their lives affected by cancer. Raising $1,500 for cancer research provides an opportunity for myself, and those who support me, to play a role in bringing us one step closer to curing this disease.